“Lazer Planet in Clydebank is Glasgow’s largest multi-level laser tag arena, and provides you with the ultimate battle zone for laser tag parties. It is a very popular venue for Birthday Parties of all ages from primary school kids aged 6+, to teenagers and students, as it allows you to play all your favourite video games for real. 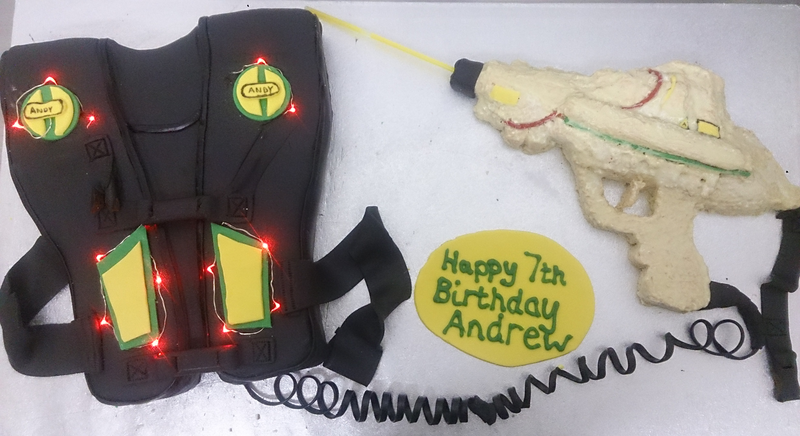 Our party packages are suitable for groups of 8 to 30 players, enjoying two or three games of laser tag each. We vary the missions in each game, which can be played on an individual or team basis, with or without bases. In addition to laser tag your party can try the ‘Lazer Maze’ challenge, which recreates the laser beam high security systems you see in films like ‘Mission Impossible’ and ‘Get Smart’. It’s great fun watching each individual trying to jump over or crawl over the beams without breaking them! Birthday Parties can also book an indoor karting session at ScotKart, which shares the same facilities, and has karts suitable for ages 8 upwards.